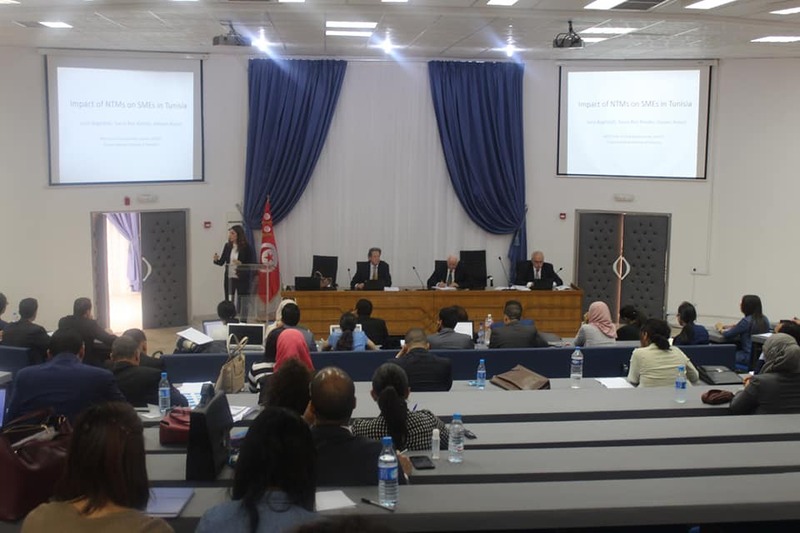 Presentation of a research project conducted by WTO Chair members “Impact of NTMs on ​SMEs​ in Tunisia​” at the Tunisian National School of Administration (ENA) on March 23rd​, 2018​. Leila Baghdadi, WTO Chair holder, presented the study as well as some policy recommendations. Thanks to Dr. Smeets, from the ITTC/WTO, for inviting the WTO Chair to the workshop at ENA.